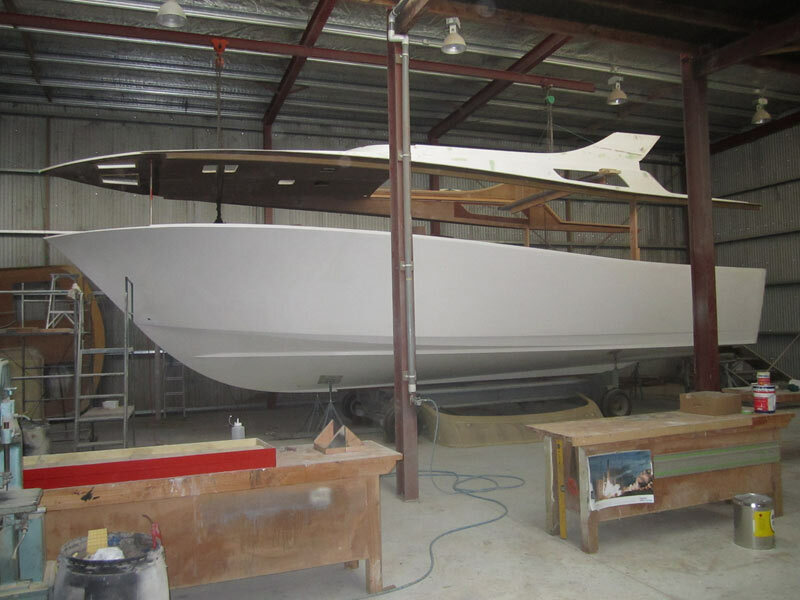 This popular sporty design is under construction in Scott Lane Boatbuilders workshop. The boat is at hull and deck stage. 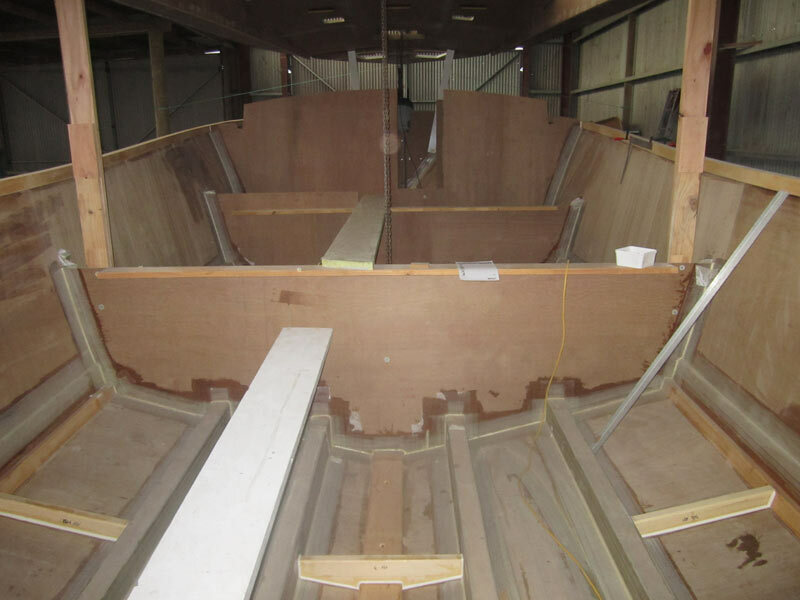 She is offered for sale now as she is or can be finished to any stage through to a completed boat. Turn key price from 900,000. The purchaser can select engines, interior fit out and equipment. 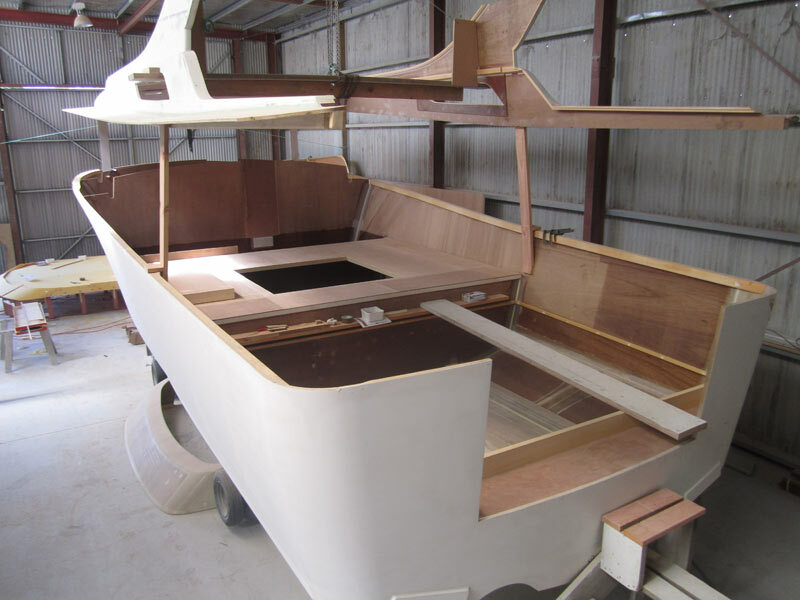 This boat can be ready for launching for summer 2014/2015. She is the sister ship to Odysseia. Viewing and sea trials are available on Odysseia. Odysseia will also be on show at the Hutchwilco New Zealand Boat Show and at the Auckland On the Water Boat Show 2014.